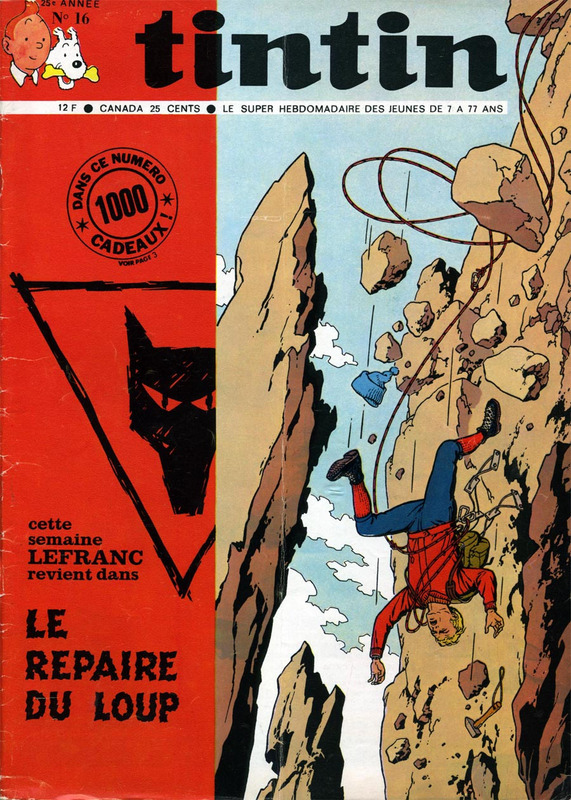 “Le Repaire du loup” was the 4th volume in the Lefranc series by Jacques Martin, but unlike the first 3, this 4th volume was drawn by Bob De Moor. Pre-published in the Belgian Journal Tintin between April 21st 1970 and 8 September 1970 it was finally published in album format in 1974 by the Belgian editor Casterman. This year, 41 years later (! ), the French editor Ludovic Gombert will release a ‘remastered‘ big format (28,5 x 38 cm) of this album, limited to just 250 copies! 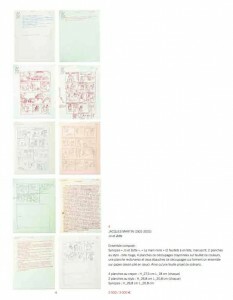 The re-edition will be published in black/white. The full technical info can be found here. 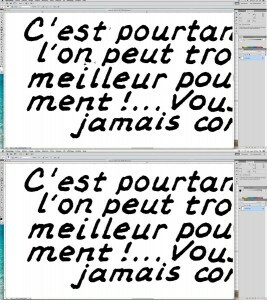 Before and after the cleaning. When we say ‘remastered‘, we mean that every page will have been cleaned in order to offer you the best possible printing. 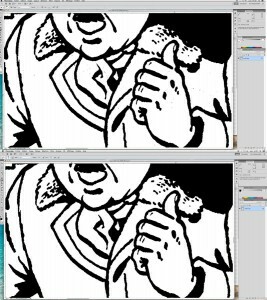 To show you how the editor will proceed, we received 2 examples showing you in detail what this ‘remasterisation’ will entail. The first detail is a drawing and as you can see the first picture shows some artefacts while the second has been cleaned out completely. This is a manual job, which means lots and lots of work hours to get the job properly done. 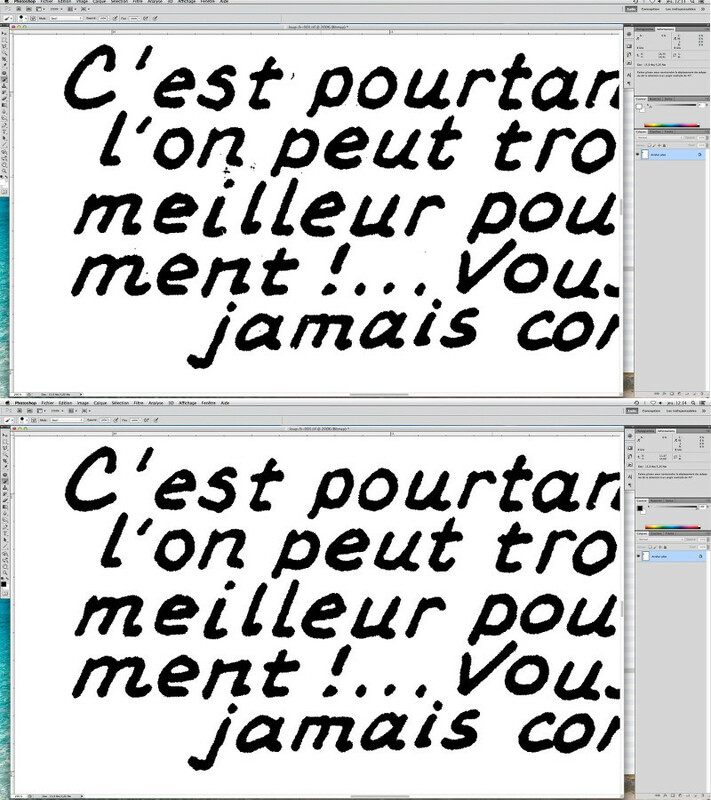 The second example shows a text balloon, before and after, and again you can see that there is a lot of working being executed right now to give you the best possible printing quality. Expect the album to be ready by the 2nd trimester of 2015 with a price of 99 Euro. We’ll post pre-order links when the become available. The other volumes are planned to follow in chronological order later on, but more when we the info is confirmed. 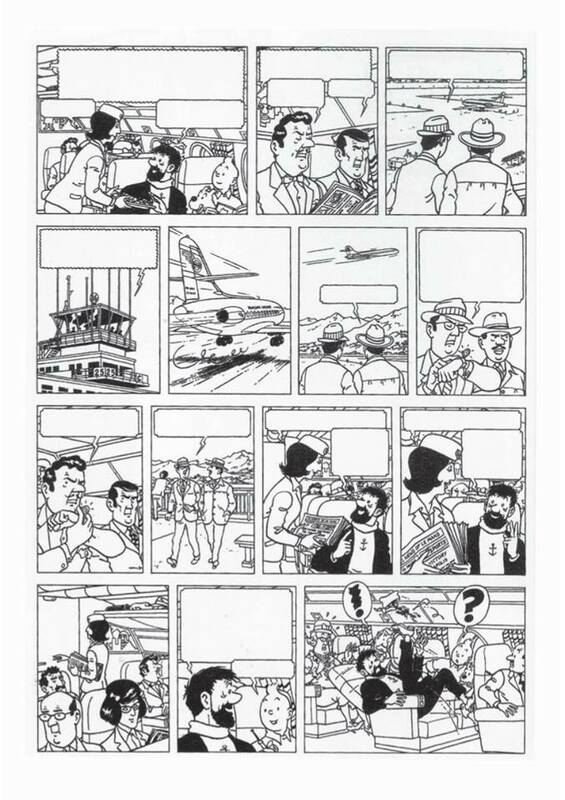 In 1965 while Hergé was on holiday Jacques Martin and Bob de Moor made a fake Tintin page (the so called famous ‘planche bidon’) which the Swiss Lausanne based magazine L’illustré took for a real genuine Hergé page. 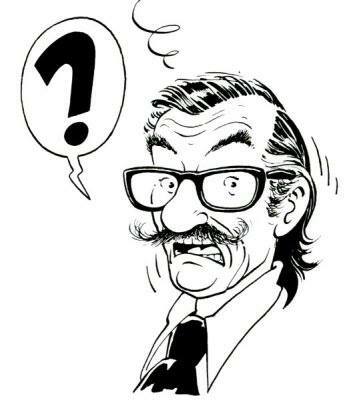 When Hergé got to see the article he wasn’t too pleased, but afterwards asked on numerous occasions to buy the page from Martin. 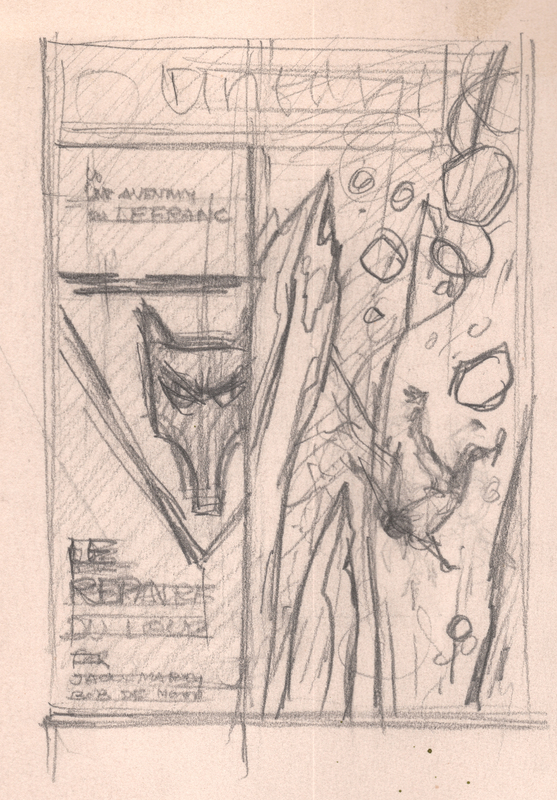 Martin agreed on one condition: that he would not destroy the page. 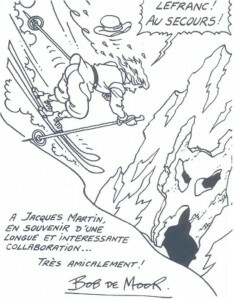 Hergé (silently) did not want to agree on those terms so it seems. 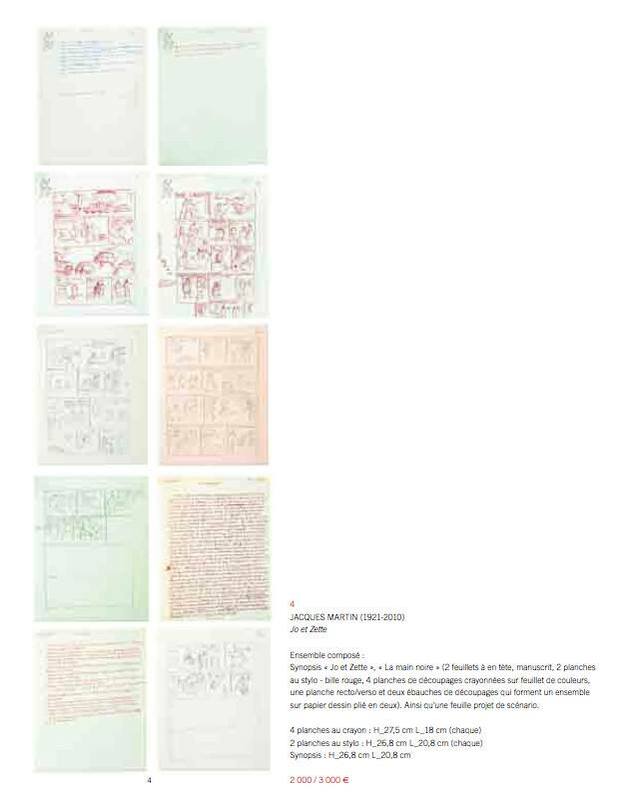 The page, on which Bob and Jacques worked on for a couple of days, ended up in a Jacques Martin auction many years later (together with the unfinished work for the Jo-Zette & Jocko story “La main noire”). Critics would later say that they would have recognized it as being fake since it missed the ‘naturel’ from Hergé. Personally I (Bernard) am more inclined to think that noone would have seen the difference. 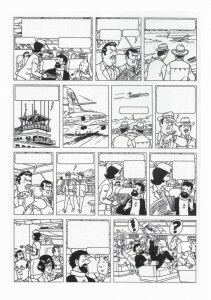 Heck, at the moment they are even selling Hergé drawings which were in fact made by Bob de Moor and Jacques Martin to begin with. 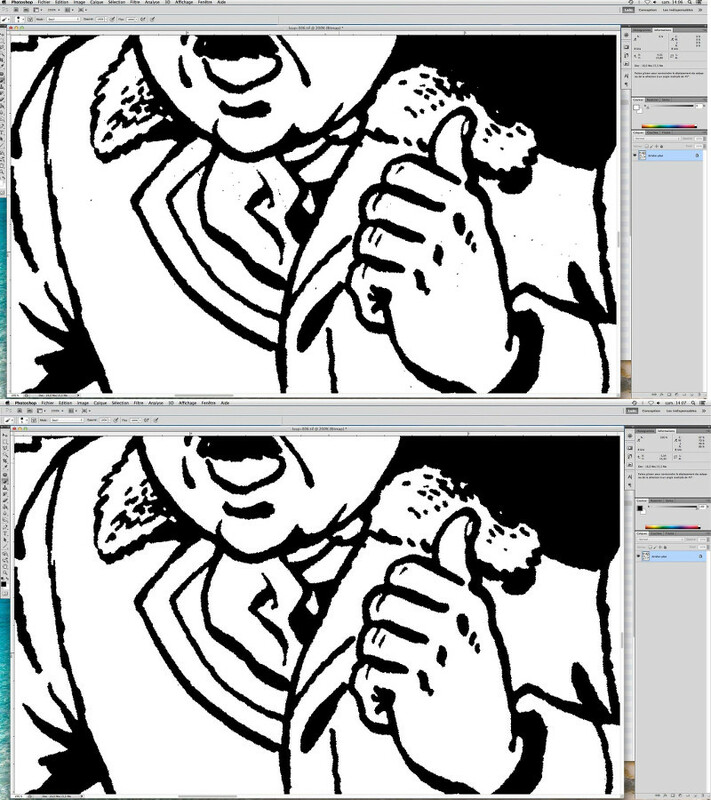 The Studios were very well integrated in each new Tintin album and learned from Hergé how to work (and vice versa). It’s my belief that minimizing the role of the Studios is some kind of art revisionism. 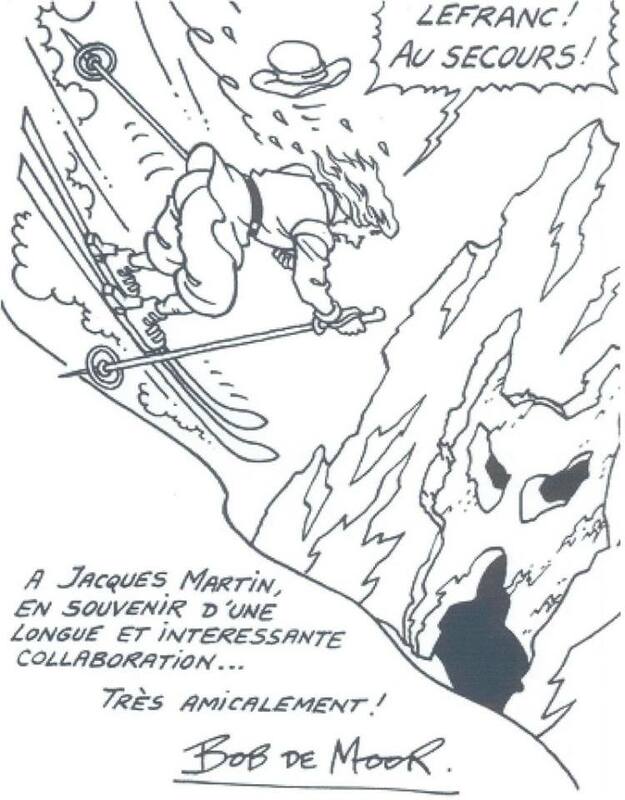 Hergé was key, but his colleagues were therefor not less important. And we should keep in mind that the Studios did deliver high quality work (with a few exceptions maybe). 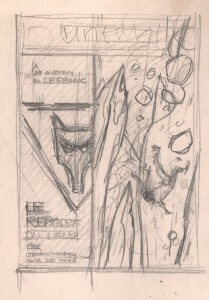 In this 9 minute interview from 2009 the late Jacques Martin talks about the work Bob de Moor did on the Lefranc album “Repaire du Loup” and how their collaboration started. We posted it on our Facebook page for easier sharing. This 4th Lefranc album got published in Tintin magazine from 1969 on and was only published in album format somewhat 5 (!!) years later. It was the first album where Martin decided to let a lot of the work being completed by a close collaborator. Jacques Martin being a very ‘franc’ personality was damn good at telling stories from the past whether it was from his own life or in his albums. Post by Bob de Moor.